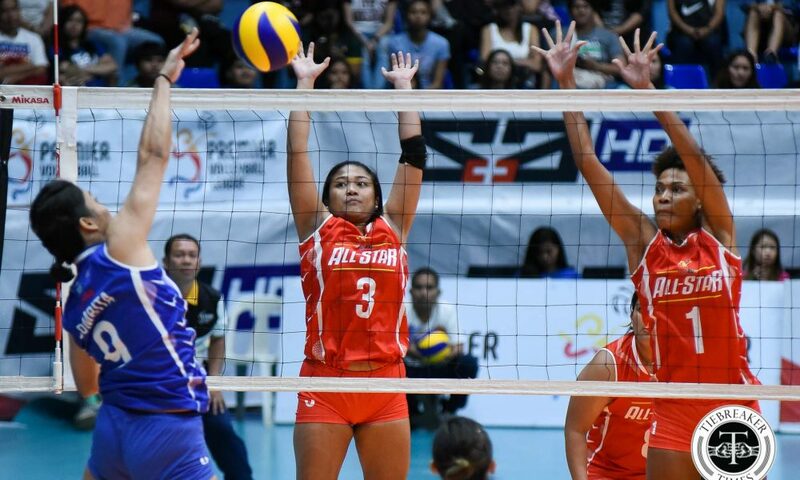 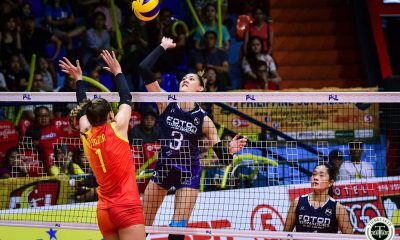 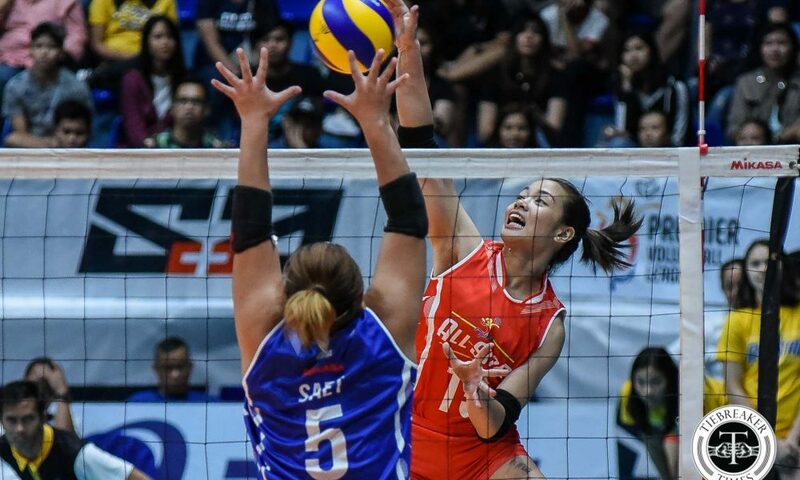 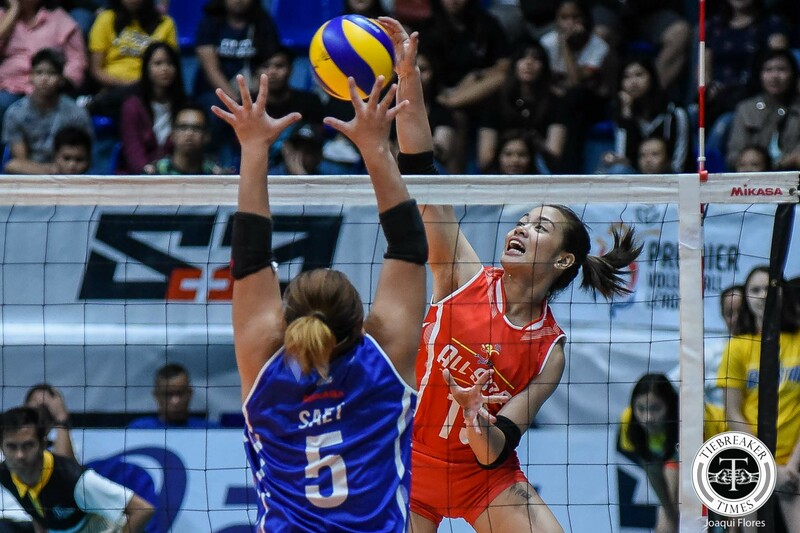 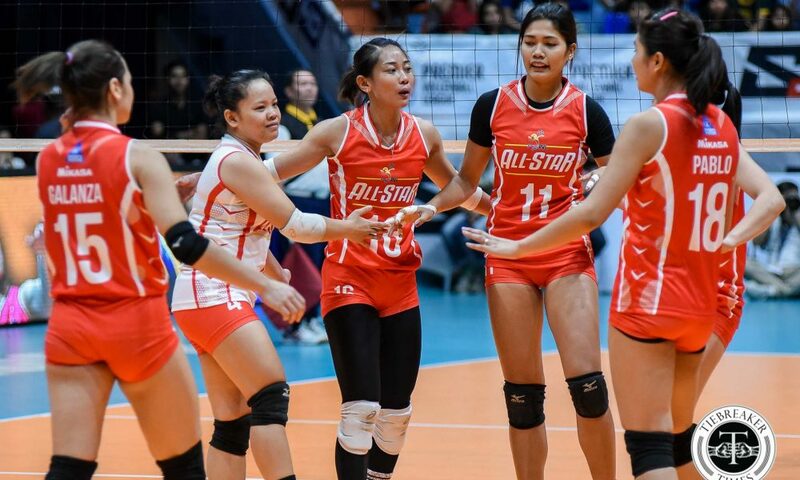 In front of a packed FilOil Flying V Centre, the Premier Volleyball League stars put on a quick showcase for their All-Star game for the benefit of the Hero Foundation. 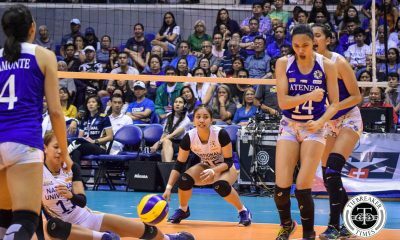 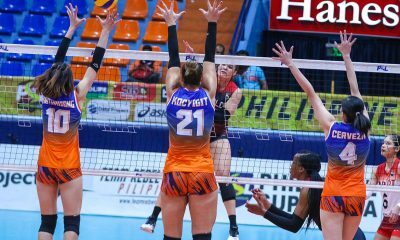 The match lasted just three sets, as the Jema Galanza-led Red Team bucked Alyssa Valdez’s Blue side, 25-19, 25-16, 25-20, Saturday evening. Galanza fired in 14 points off 11 attacks, two aces, and a block, giving her Player of the Game honors. 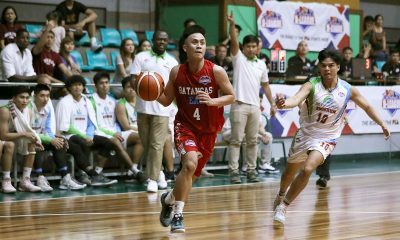 Petro Gazz’s Jonah Sabete pitched in 11 markers to pace the Red side. 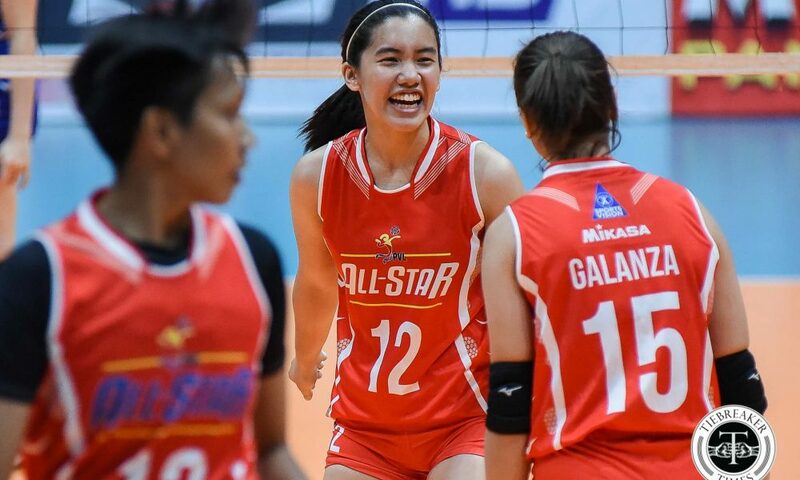 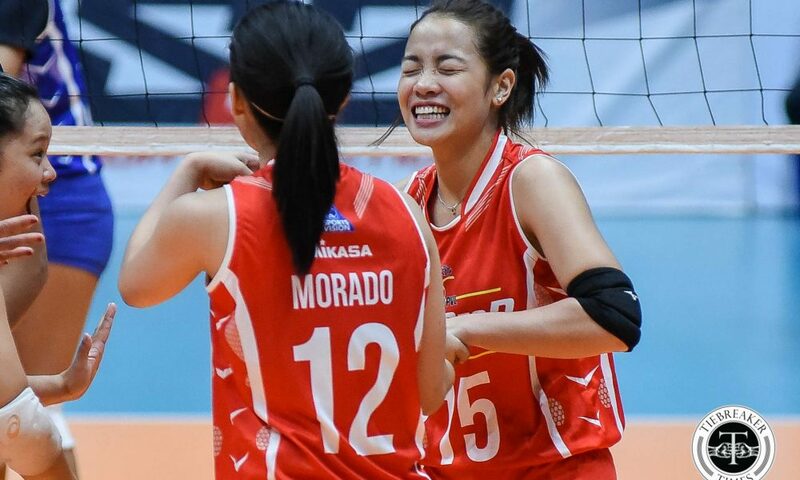 The rest of the Red side was made up of Creamline’s Jia Morado; Ateneo’s Vanie Gandler, Bea De Leon and Kat Tolentino; Petro Gazz’s Cherry Nunag; Adamson’s Joy Dacoron and Thang Ponce; UST’s Dimdim Pacres; and BanKo’s Jem Ferrer. 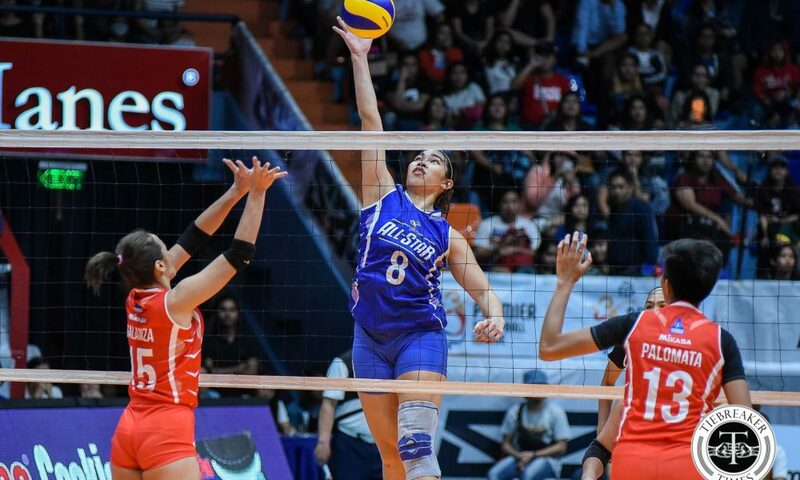 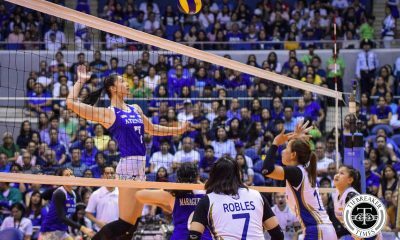 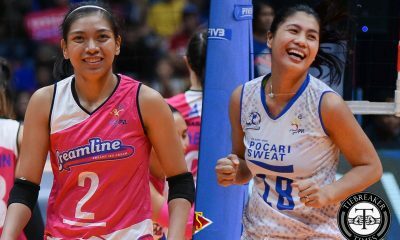 Galanza’s Creamline teammate Valdez topped the Blue side with 10 points. 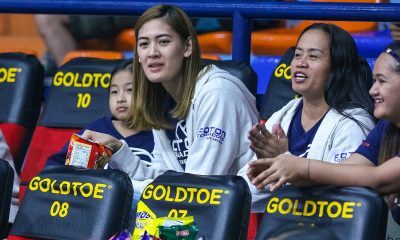 BanKo’s Kathy Bersola added seven markers. 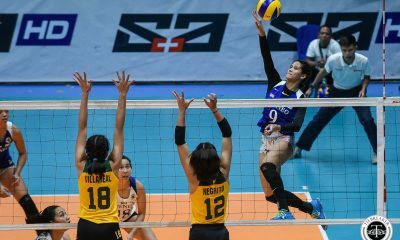 The rest of the Blue squad were Cool Smashers Michele Gumabao, Risa Sato and Melissa Gohing; BanKo’s Nicole Tiamzon, Iriga’s Grazielle Bombita; UP’s Isa Moldel; Ateneo’s Deanna Wong, Maddie Madayag and Dani Ravena; and Petro Gazz’s Chie Saet and Jessey De Leon. 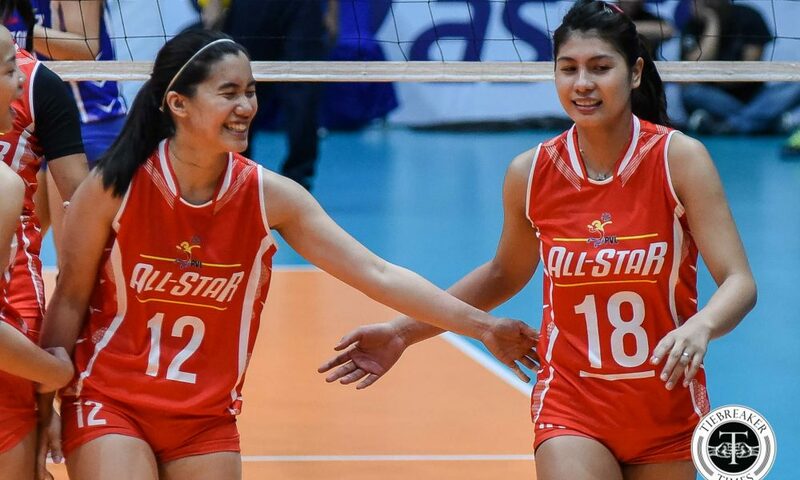 Before the match, festivities kicked off with a meet-and-greet with fans, as well as several parlor games that gave the fans a chance to play with their idols. 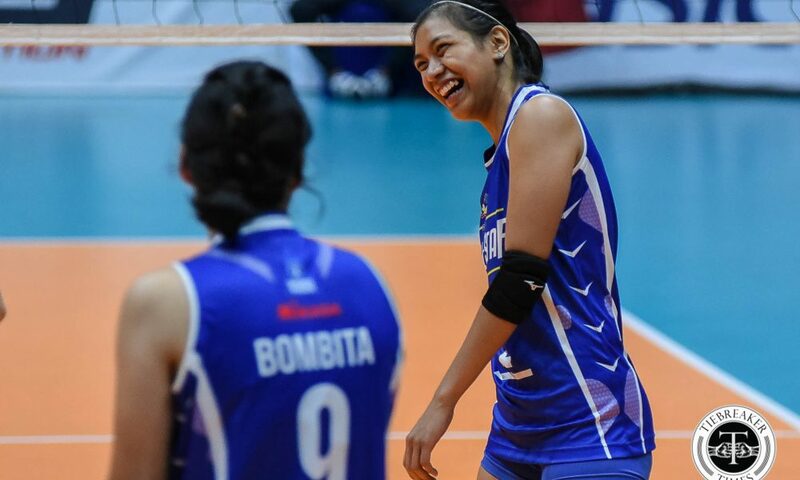 Giving back to fans and aiding the Hero Foundation was the priority of the day, beyond the final result of the match. 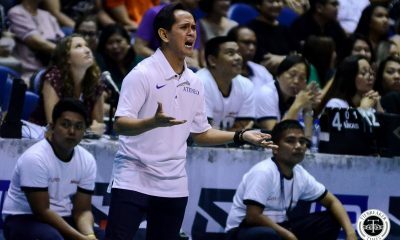 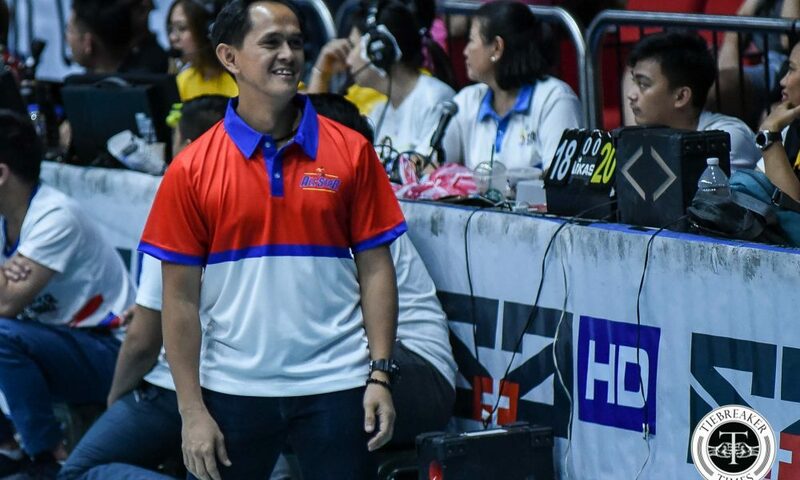 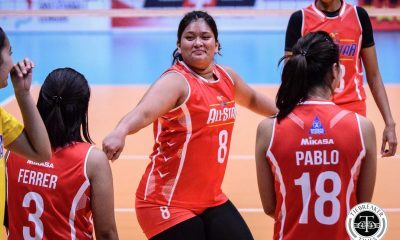 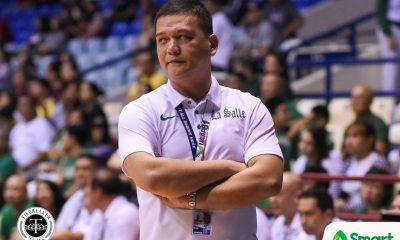 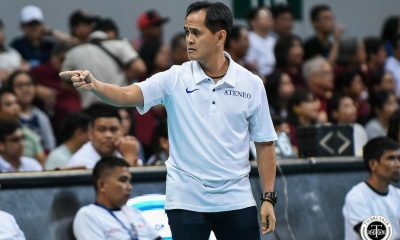 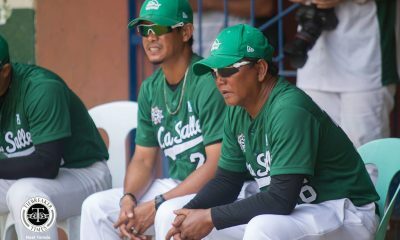 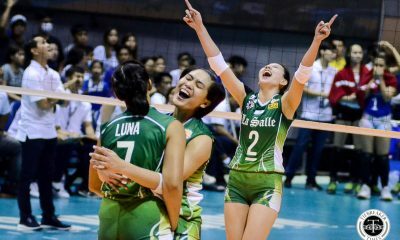 “Kasi minsan after ng game hindi sila nakaka-picture sa amin, so parang kahit naman kami nasa-sad kami na hindi namin sila napapagbigyan,” said Galanza. 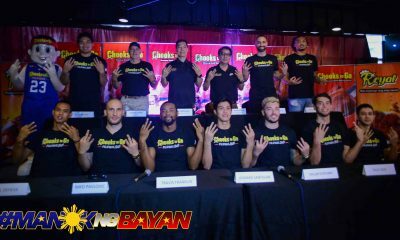 “Buti na may ganyang meet-and-greet with the fans. 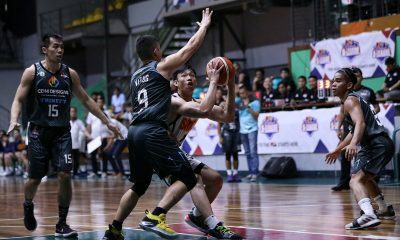 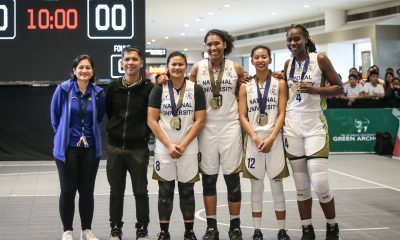 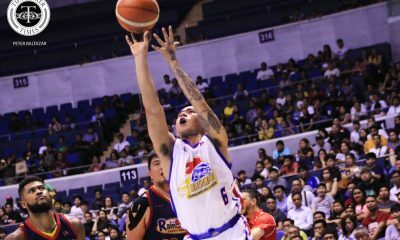 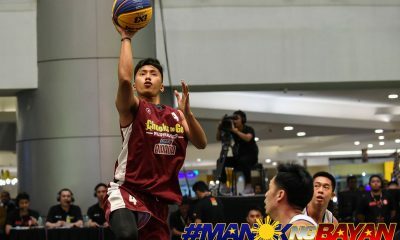 Nagpapasalamat kami na may ganyan kasi nabibigyan nga namin sila ng chance na makalapit sa amin, makausap namin sila, and maka-sign man lang,” the former Adamson Lady Falcon added. 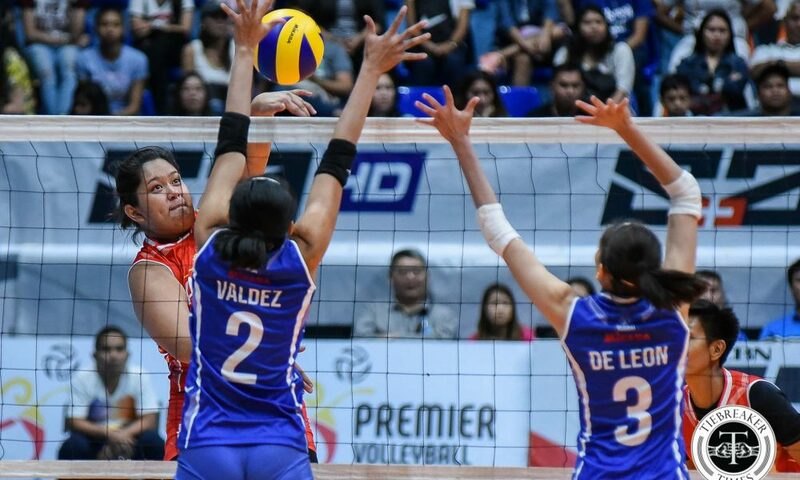 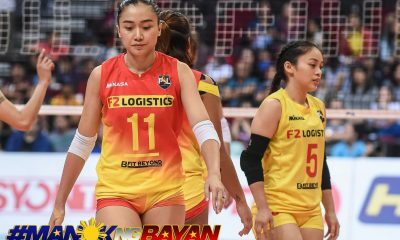 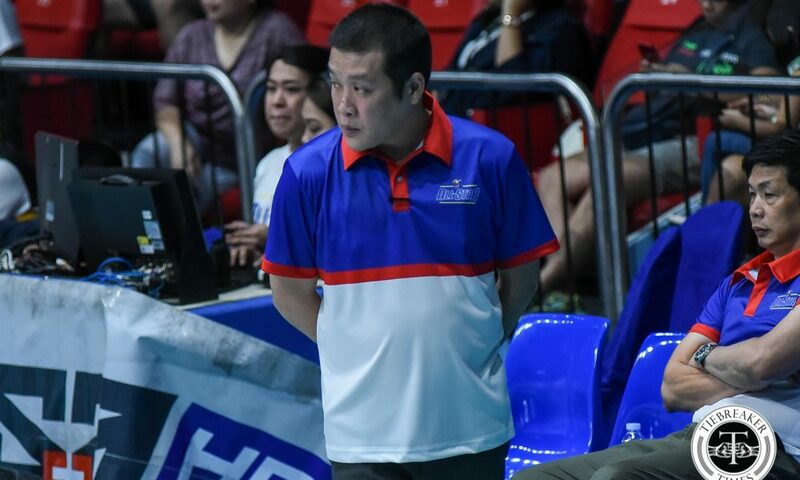 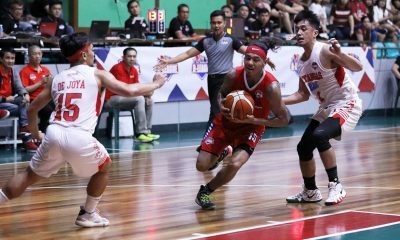 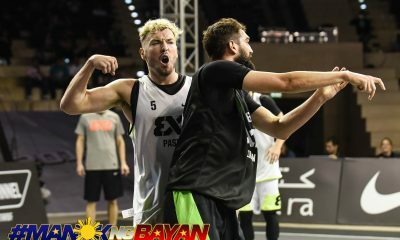 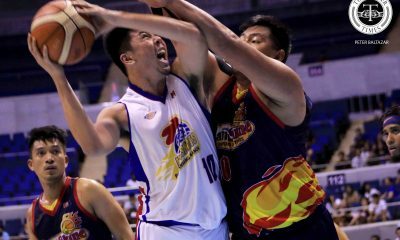 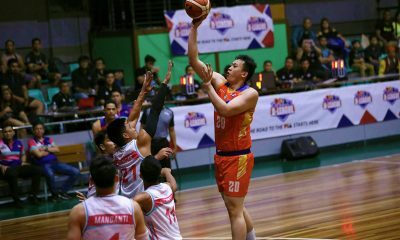 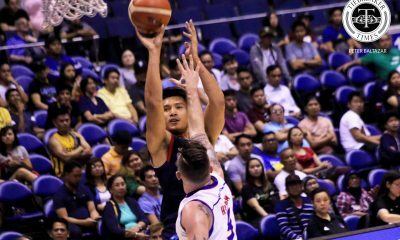 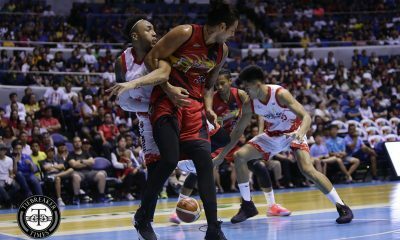 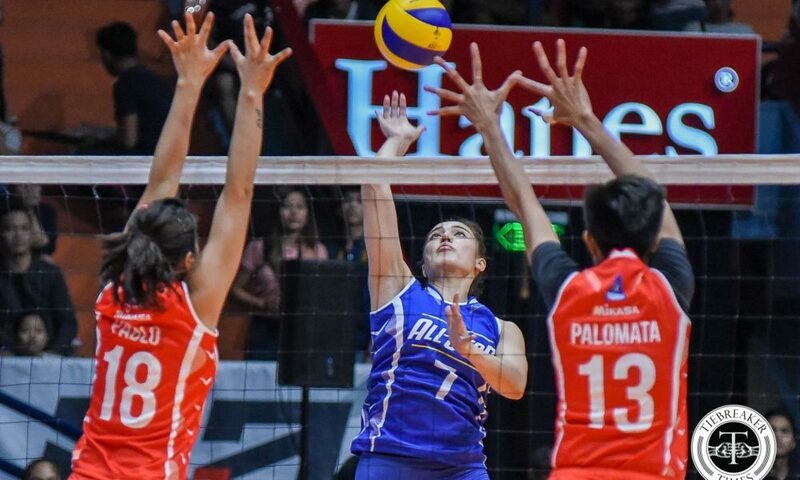 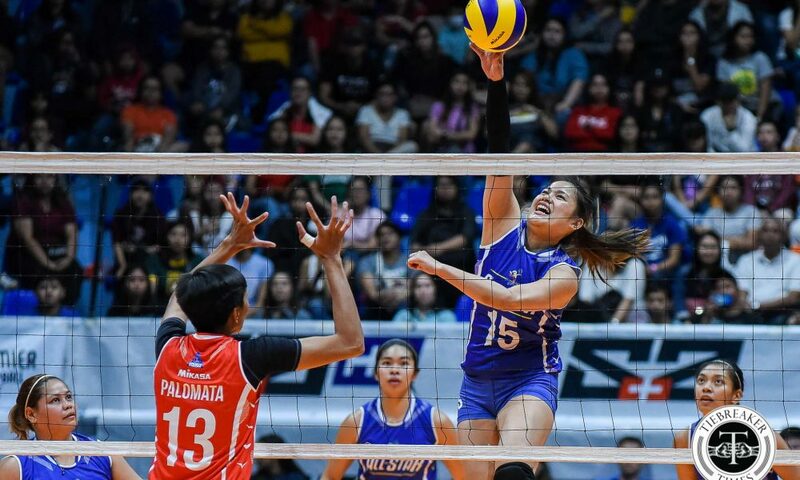 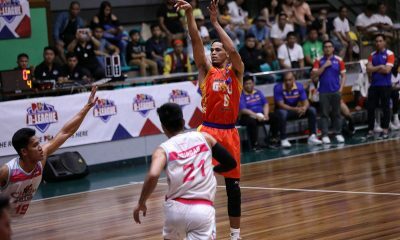 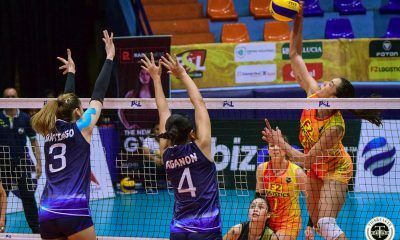 The PVL will officially begin their 2019 season on May 18 with the Reinforced Conference.